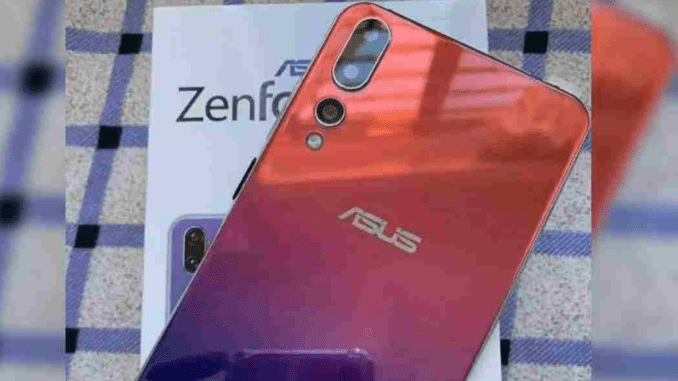 Almost all the smartphone makes have revealed their flagship models for this year and now after entering into the second quarter of the year, Asus is also getting ready to launch its Zenfone 6Z smartphone under the Zenfone 6 series. The upcoming device has been leaked today with the model number ASUS_101WD on AnTuTu benchmarking website and this should be the device that the company has promised to unveil on 16th of May in Spain. The listing of the device reveals that the Zenfone 6Z will be coming with 48MP Sony IMX586 sensor as the primary sensor for its rear as well as its selfie camera which should be the selling point of the handset. Although we are not sure if Asus is going to uses the same Sony IMX586 sensor for the front camera also. Furthermore, the handset will be coming with 2340 by 1080 pixels resolution display but the size of it has not been confirmed yet. The device is said to be coming with 6GB of RAM memory along with 128GB of storage option and we might expect other storage option by the time the handset get unveiled. Under the hood, this flagship device will be using the latest Snapdragon 855 SoC from Qualcomm. We can expect the device to be coming out of the box with the Android 9.0 Pie with the companies owns Zen UI on top. We can also expect Android Q update on this device since it is a flagship model of the company. The successor of the Zenfone 5Z has scored 363172 scores on the AnTuTu benchmarking website and considering the leaks of the device, we can expect it to be coming with a notch-less display. The handset might also feature an in-display fingerprint sensor on the front to enhance the security levels. Well, what are your views on this upcoming smartphone from Asus? Comment in the section below and stay tuned to Android Advices for more news and updates.